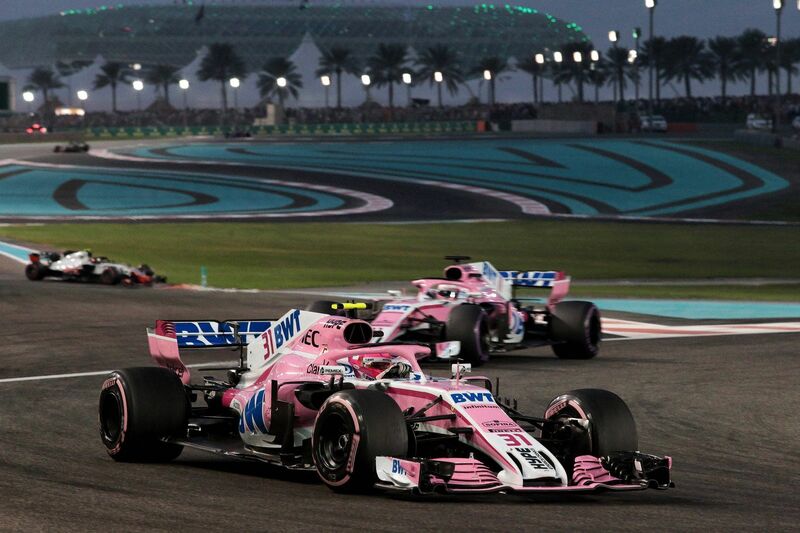 Racing Point’s (Force India) new co-owner Lawrence Stroll believes that there is nothing broke with the team which only needs financial stability to move forward. Having finished fourth in 2016 and 2017 F1 seasons, Racing Point needed that extra boost to take a step forward so as to challenge for the Top 3 positions but the finances didn’t come as much which could have helped it gain further. In fact, the situation only worsened which forced Sergio Perez to take action and put it under administration in mid-2018 after which it was bought by a consortium led by Canadian businessman Stroll with his six partners. Things are moving behind the scenes with respect to a name change, facility expansion, hiring personnel, etc, but nothing major is being done as Stroll believes the mantra that nothing is broken in the team to fix, especially with regards to its management. So far only Robert Fernley has left Racing Point from the senior management with Otmar Szafnauer taking charge with team manager Andy Stevenson and technical head Andrew Green retaining their respective positions as well. “I will be very involved [with the team’s day-to-day working],” started Stroll in an interview to F1’s official website. “The plan is number one – ‘Nothing is broke here so you don’t need to fix it’. It already has great leadership and management in the team. “They have been doing this for a long time and doing a great job. So it’s about supporting them. Number two – it’s about putting financial stability in place. [To be honest], I never planned to buy an F1 team. “The reason it interested myself and my consortium of investors was because this is a phenomenally special team. To be fourth in 2016 and 2017 – and last year I think they would have also been fourth without the interruption of the shareholding. “In this unbelievably competitive environment [the results] speaks volumes about the staff working in this very special place. These guys have been spending less and performing better. “I looked at it as a business opportunity, coupling that with spending time speaking to F1 to understand their vision from 2021, which is some sort of budget cap and some sort of a better revenue distribution to the smaller teams. “That makes great business sense for a company like this, as this is the model of direction closer to where the future will go. I’ve been around the sport for 30 years. There’s only 10 teams and if you look at the value of the franchise, whether it be NFL, UK rugby or football, the value of an asset like this, treated properly, cherished over time significantly appreciates. “I think the same thing will happen here.” Racing Point trio – Szafnuer, Stevenson and Green – agreed with Stroll’s plans and vision. Both Stevenson and Green reflected on the past seasons and believe that the consistent cash inflow will be a major boost. “It means we can plan with confidence, rather than thinking if we do that and the money doesn’t turn up, we’re compromised,” said Green. “Eliminating that is a big thing, and then with a view to know that instead of targeting two or three updates in the season, we can put parts on the car when they make the car go quicker. “This strategically is a big change for us, instead of accumulating a load of parts and getting a big update on the car, waiting another couple of months and another one, we can now think about, if that part makes the car quicker, let’s put it on now. “The car lagged so far behind the windtunnel model, several months in fact. Now we’re trying to reduce that and get the fastest car we can on track at all times. The next thing is how quickly we can start clawing back the deficit between ourselves and the top teams. “The gap is too big. There is a lot we can do, and now without the financial shackles, it’s all down to how smart we are. It’s incredibly frustrating when you know there are projects out there that deliver lap time, but we can’t put them on the car for various reasons. “To have a lot of that removed is hugely positive. We can also start doing some experiments. When we do new front wings, it’s a huge cost. Because it’s new regulations, we’ll be updating them more often early on – it’s a big expense, and they are bigger.